The Art & Beyond Studio, Inc. is proud to announce the media partnership with Artmajeur ! Art & Beyond offers a promotional services for artists in form of both International Art & Beyond Online and Print Edition Magazine. As a media partner Art & Beyond Magazine offers a significant discount for Artmajeur members to be published and promoted to galleries, museums and art consultants. Art & Beyond Online is published 6 times a year and has 95,950+ readers and the number grows every day. The regular price to be published in the 1 (One) Online magazine is $105.00 plus $40.00 for Cover Competition (in total $145.00). Artmajeur Members will receive a 100% chance to be published in the magazine without competing to be chosen in a price of $55.00 including Cover and Content Competition. In Entry Fee of $55.00 included 2 images and Cover Competition. If you wish to send more images you may do it from the PayPal drop down menu. Also every artist may order the Interview in the price of $95.00 after the Initial Entry Fee without need to be a cover winner. 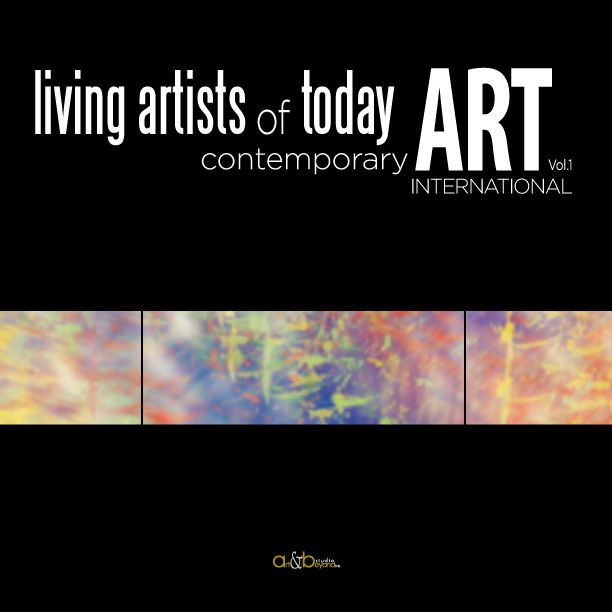 The Online Magazine is available for artists to be order through the third party as a printed version for a portfolio and can be used at any art show as a promotional materials to increase the value of the artwork and importance of the artist by been published in the International fine art magazine. Four winners will be chosen: Front Cover, Inside Front Cover, Back Cover and Inside Back Cover. Front Cover winner will be awarded with Gallery Page for one year presentation with 5 images and biography in the Art & Beyond Online Gallery. Publisher Choice Award will be given to an artists with a 2-Page spread article. Art & Beyond Print Edition Magazine is published 2 times a year to be promoted on number of International Art Fairs in addition to regular distribution to galleries, museums and art consultants. In Full Page Entry included Cover Competition. 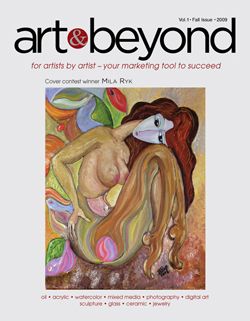 After your payment is completed please send your images to mryk@art-beyond.com with a following information in the subject line: month of the magazine you are applying to (example: May/June Online magazine Cover Competition). Images should be send in 300 DPI as JPG files tagged with your name and number (Mary Smith_pic.1.jpg). In the body of email please type a description of your entry according the submitted materials: Mary Smith_pic.1— Title, Medium, Size. Short biography up to 300 words should be send in word document saved as .doc (not .docx). To apply please use PayPal button below. Please complete Entry Form below. Please notice the Personal Check are accepted for USA residents only. If for any reason after you applied and made a payment to be published in the Online Magazine or Print Edition and you decided to cancel your participation – the refund amount of your payment will reflect the service and transection fees (which will be subtracted from the amount you paid). Please make your decision for participation wisely. 3% service fee will be applied for PayPal transections.